← New York Auto Show – First Sighting! 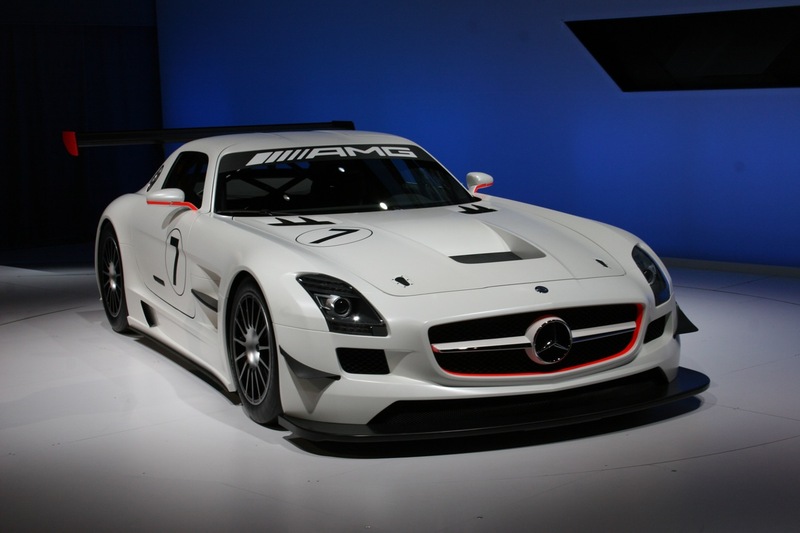 Mercedes’s big reveal: the new SLS AMG GT3 race car, which sounds like an angry dragon. Also unveiled were the new E350 wagon (roomy!) and the revised R-class…but next to the SLS GT3, nobody really cares. It’s like putting two soccer moms in jeans next to Angelina Jolie in her lingere.